Valves for variable regulation of the exhaust gas back pressure. The back pressure valve works in a similar way to an engine brake valve. It is located in the exhaust pipe, usually directly behind the exhaust gas turbocharger, depending on the vehicle type. It supports the regeneration of particles filters which are becoming increasingly important in additional European norms. 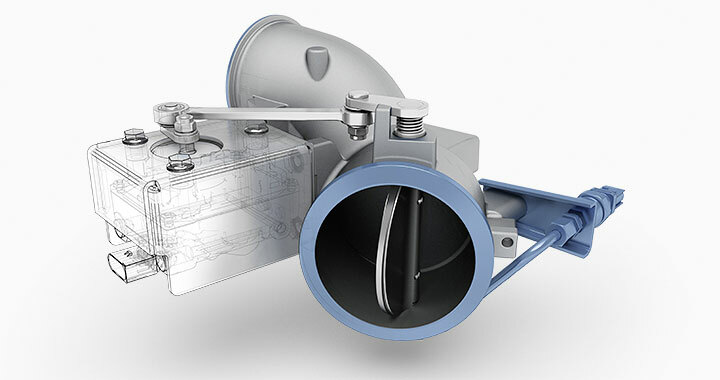 Using the back pressure valve from Klubert + Schmidt, engines are warmed up faster and can be kept warm. This has a positive effect on both fuel consumption and also reduced exhaust emissions.